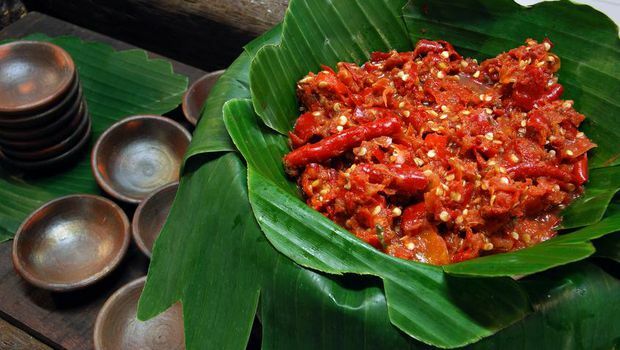 If in Aceh there is a cannabis sauce that is not made from marijuana, in Kutai (East Kalimantan) there is a king sauce that descends caste because it is very popular in the realm of the people. In fact, the archipelago is actually not familiar with the concept of royal cuisine aka exclusive dish for the nobles. The tongues of the kings of the archipelago are also equivalent to the tongue of the common people, so the kings' food is actually just a fancy version of the daily dish - or served with sophisticated serving equipment. On the other hand, the kings also make no exclusive arrangements for meals in the court environment should not be served for the subjects. Thus, the liwet rice and its distinctive dishes - which were originally also the creation of a palace kitchen - became a popular dish for all the people. 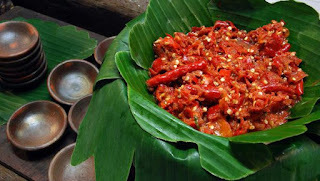 And sambal janmuk (widow rage) creations of poor widows then became a favorite dish in the palace of the Malay-Deli king. 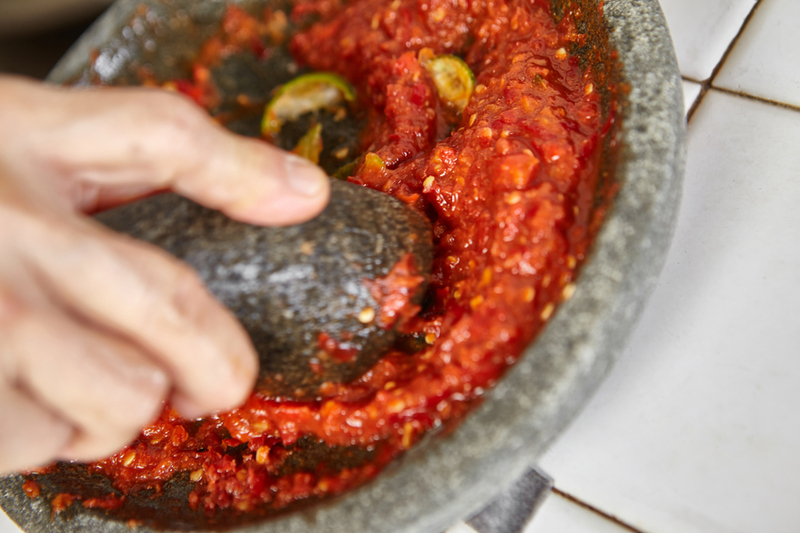 Sambal king of Kutai itself is actually not always referred to as king sauce. This spicy dish is commonly referred to as sambal kutai - a more generic nomenclature. The sauce remains simple and grounded, but served with fried eggs and vegetables to give it a touch of privilege. The chili sauce is sauce blacan / trasi nuance due to Chinese orange (called orange key in Pontianak, lime kasturi in Medan, and lemon cui in Minahasa). In addition to giving sour taste, Chinese oranges also arouse fragrant aroma. In addition to a thin sour taste, king sauce should also be sweet nuances and do not need too spicy. Cabenya seeds removed, so the impression is generally a smooth sauce. This sauce is pan-fried with oil to shine and tanak. This sauce becomes more special after it is served with a variety of complementary accessories, namely: boiled eggs are chopped, and various vegetables - beans, eggplants, onions - fried. Without any other side dish, this luxurious sauce is guaranteed to be able to spend a warm boiled rice. 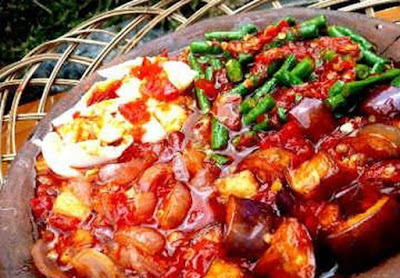 In the area of ​​East Kalimantan, this king sauce is often used to accompany rice bekepor, which is a typical rice Kwai Kutai soft and tasty. Another side that matches with this king sauce is teri goreng or fried catfish. Tempe and fried tofu, or vegetable stir, will be special accompanied by this king sauce. Unfortunately, although how to make it including simple, king sauce is now more and more rarely served as a daily dish. He appears only on special occasions requiring the appearance of special foods. In fact there are not many more restaurants in East Kalimantan that serve this king sauce. The absence of the standard standard of serving the king's sauce makes this special sambal not always present with the same appearance. Sambal king from Warong Selera Acil Inun in Samarinda, for example, look different from sambal kutai made by Ruli, wife of Butet Kartaredjasa, original Kutai. Fortunately, both are equally good. 0 Response to "Here's a Sambal(Condiment) Rendition Devoted to Kings"